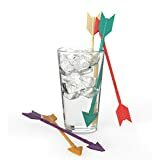 Archers, hunters, medieval enthusiasts, cupids, or anyone else who may need to stir or garnish a cocktail should check out these cool new Arrow Stir Sticks. 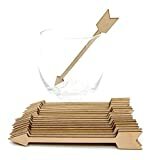 These golden-matte finished stainless steel swizzle sticks are crafted in the shape of pointy arrows and are not only perfect for mixing drinks, they're also great for skewering garnishes for Bloody Marys and more.They come in a set of four and, thankfully, a miniature bow is not included. 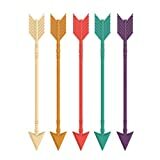 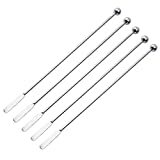 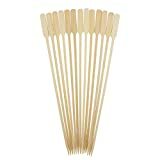 TrueZoo 4217 Arrow Stir Sticks, 0.2" Height, 2" Width, 8"